Christmas wouldn't be Christmas without gift books, and a variety of impressive-looking new treatments of family classics aims to fill that niche. 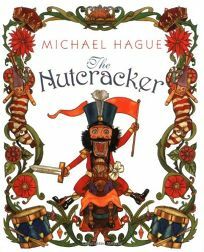 Michael Hague's many fans will embrace his copiously illustrated version of The Nutcracker, based both on the E.T.A. Hoffman story and on the famous ballet.